Riding slowly by the Canal St-Martin on a warm, sun-soaked Saturday afternoon is usually a monstrous feat. Normally, pedestrians crisscross the road and bike paths, unaware of others as they ship their beer and wine bottles to the waterside. I’m obligated to be bright and alert, waiting to ring my bell of my new (yet-un-stolen) bike at each local who dares step in my path. But this is August. The Canal is unusually and, for me, wonderfully empty. I breeze along on my bike with only a few scattered locals and tourists wandering its banks. Riding is a blissful experience. August in Paris is one of the few times where I feel like a kid again in this town. When I was younger (ah, youth), going for a bike ride with friends or family was the norm. After school, weekends, evenings (before it got dark – my parents weren’t irresponsible) – it didn’t matter. Give me two wheels and a road and I was off like a flash. I’d pass summer evenings discovering new roads all alone or riding with friends who would take me farther and farther from home, always testing how long we could ride without getting tired. It was as carefree as I could have ever been. 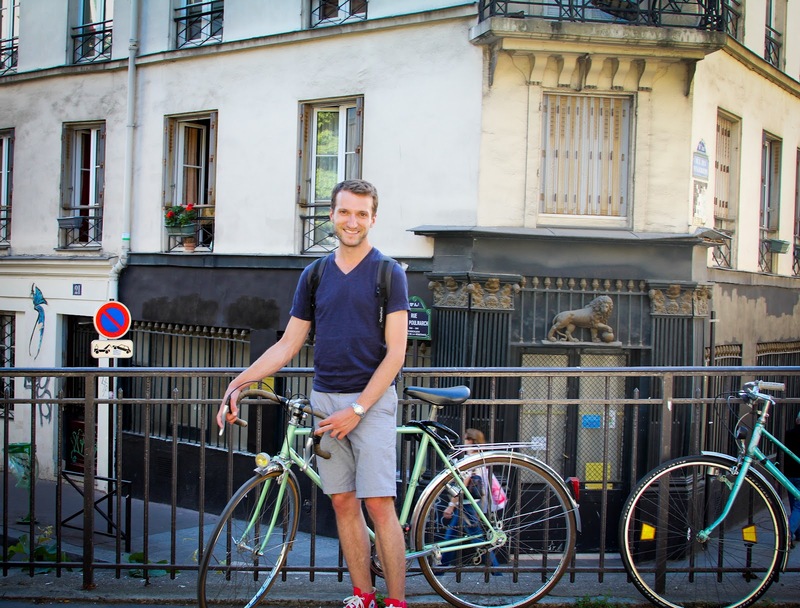 In Paris, bike riding seems so quintessentially, well, Parisian. There’s one thing, however, that the movies and postcards don’t show you. 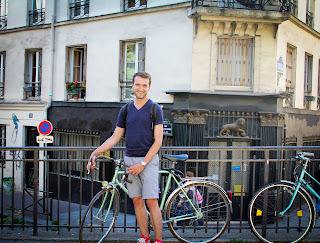 Riding a bike in Paris is not stressless. It’s borderline suicidal. Sure, the mayor has gone to great lengths to make more bike paths and to help bikers better circulate with traffic, but pedestrians haven’t gotten the message apparently. While new bike paths – usually clearly marked – stripe the city, many Parisians see these as new broadened sidewalks, strolling effortlessly while my ringing bell from meters away does nothing to move their butts. On a clearly marked bike path last week, a woman, ringing her bell for a good long time, finally slammed on her brakes before nearly toppling over a local, punctuating the scene with a hearty “Putain merde!” as the man made no effort to dodge her. She was in the right. He didn’t care. Forced to either shout like a jerk or go onto the very sidewalk that was designed for these strollers, I, too, have perfected the cheek-puff and eye roll that signal my anger as I am forced to brake, though I employ the putain merde more judiciously. ah... cycling in Paris with Bryan.... such a sweet memory !! We will ride down the boulevards someday soon I hope!